HAMBURG, GERMANY - MAY 06: Time lapse of unloading containers at Hamburg container terminal. 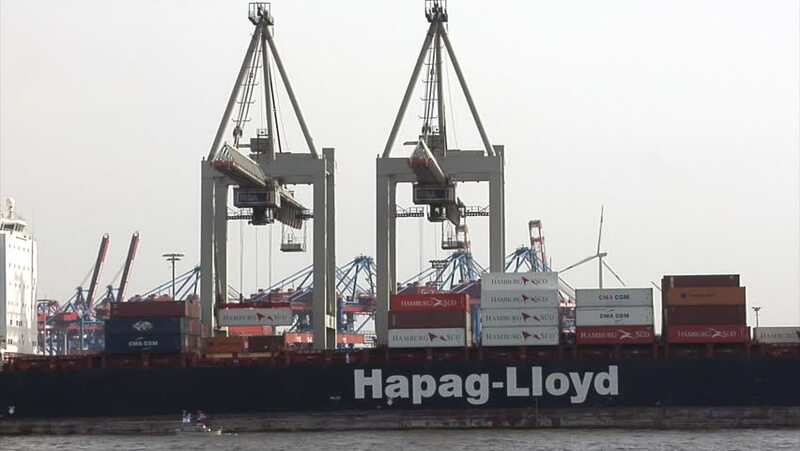 Over 9,9 million standard containers are shipped in Hamburg per year. hd00:48HAMBURG, GERMANY - MAY 06: Unloading containers at Hamburg container terminal. Over 9,9 million standard containers are shipped in Hamburg per year. hd00:53ROTTERDAM, THE NETHERLANDS - SEPTEMBER 22, 2015: MS Berge Stahl being unloaded in the Port of Rotterdam. It used to be the largest iron ore carrier in the world for 25 years, until 2011.
hd00:38ROTTERDAM, THE NETHERLANDS - SEPTEMBER 22, 2015: MS Berge Stahl being unloaded in the Port of Rotterdam. It used to be the largest iron ore carrier in the world for 25 years, until 2011.
hd00:10Automatic road barrier moving down at Yeongdodaegyo Bridge in Busan, South Korea.